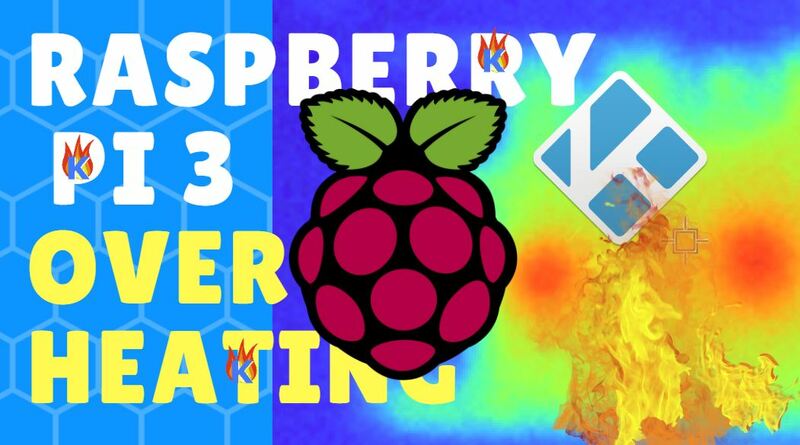 This guide shows you how to eliminate Raspberry Pi overheating. Check this out! 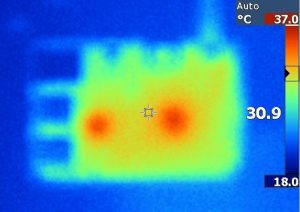 This is a Thermal Scan of a Raspberry Pi 3 Overheating – see how the CPU and GPU are hottest? Install a fan in or on your Raspberry Pi’s case. These can be bought for $5 to $10 online (click here to see it on Amazon). 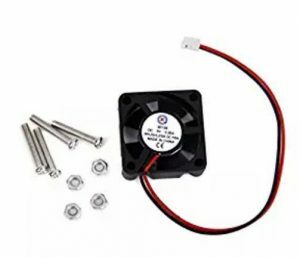 Then simply plug the connectors hanging off of the fan onto your Raspberry Pi’s GPIO pins (it’s easy!). 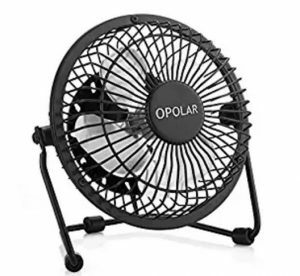 Or, if you don’t want to mess with installing a fan onto your Raspberry Pi’s case, then just get a $10 USB-powered fan from Amazon (link) and set it next to your RPi and plug it in. Make sure it’s pointed directly at your RaspberryPi. This accomplishes the same effect as #1 above. 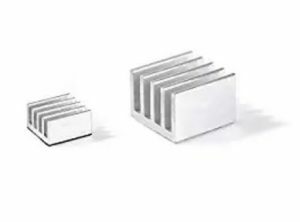 Get these Raspberry Pi Heatsinks to cool down your RPi! Don’t overclock your Raspberry Pi. 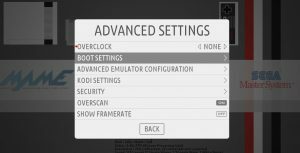 If you’re overclocking your RPi and it’s overheating, then the overclocking is a significant factor. So consider how hard the CPU and GPU processor are working on your Raspberry Pi 3. It may be working harder than it needs to work! Don’t overclock your Raspberry Pi 3 if you don’t want it to overheat more! 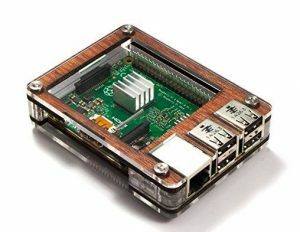 Make sure you put your Raspberry Pi in a case that allows for lots and lots of airflow. If your case doesn’t have several small holes or a few big holes to allow proper airflow, then drill some holes in the case yourself. Get a nice case from Amazon for around $12 (link). You can overclock your Raspberry Pi from within certain operating systems like Recalbox. In RecalBox emulator system, open the Menu. Then go to System, then Overclock your Raspberry Pi 3 to 1600MHz. Use our handy-dandy Raspberry Pi Kodi install video tutorial or written guide to install Kodi on Raspberry Pi. RecalBox for Raspberry Pi 3 is the alternative to RetroPie, but it’s just as good for Emulators and ROMs. You can install both RetroPie and RecalBox using PINN for RasPi. Download PINN directly from Github for free by clicking here. Simply extract the contents of the PINN zip file to a clean FAT32-formatted Micro SD card. Then insert the Micro SD card into your Rpi, then the power cord. After NOOBS or PINN boots up, click OK to get rid of the Network notification. Then select your WiFi network and enter your WiFi password.